Americans have five primary sources of retirement assets that will produce income in their Golden Years: Social Security, Pension Plans, Personal Savings, Real Estate, and Inheritance. The amount of money they derive from each source will vary by individual. However, each source must be considered when they develop their retirement plan. Social Security is the biggest Ponzi scheme in the world and the national debt is $17 trillion and increasing daily. But, Americans still have to assume this source of income will be there when they retire. People have been paying for this benefit their entire careers. It would be catastrophic if the federal government defaulted on Social Security payments. Make a conservative assumption. Depending on current age, benefits may start at later dates due to budget deficits and rising longevity. Very few Americans retire from companies that fund defined benefit plans that distribute fixed monthly payments that are guaranteed by the net worth of the companies they worked for. Those plans have gone the way of the dinosaur. 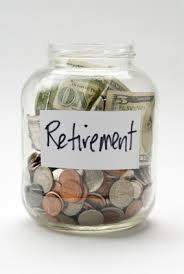 Now, Americans retire from companies that provide defined contribution plans, primarily 401k. Their asset amounts are impacted by the performance of the investment alternatives that are available in their plans. The final asset amounts that are distributed when they retire vary greatly based on salaries, company contributions, participant contributions, and performance. Americans will not know the exact asset amount until they retire and transfer the assets from 401ks to their self-directed IRAs. Americans have a notoriously low savings rate, but it is getting better. Whereas 5% and 10% savings rates are common in other countries, Americans save at much lower rates. Most of their contributions go to 401k plans and not personal savings accounts. Only Americans with larger amounts of discretionary income are accumulating significant retirement assets in taxable accounts. The personal residences of Californians can be a major source of retirement assets, if the mortgage is paid. This is true in other states on both coasts, but is less true in the central states where there has been less appreciation in home prices. Converting the equity in a home into retirement assets that produce income is a common strategy when people sell bigger, more expensive homes in urban areas and buy smaller “retirement” homes in less populated, lower cost communities. They get to live where they want to because there is no longer a commuting issue. Parents may have substantial assets that will be divided by their children. However, they do not know when they will receive the assets and they may not know the amount. Most parents keep the assets in their estates until the death of the surviving spouse and then it’s distributed to heirs. At a minimum, inheritance provides a financial cushion late in life when it may be needed the most.